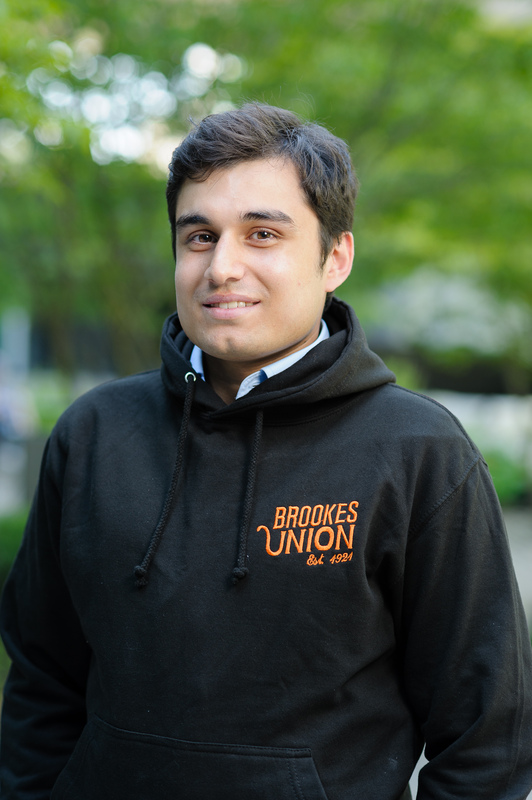 Hi everyone, I am the president of Brookes Union - the Students’ Union at Oxford Brookes University. I was elected to represent your views to the university. I am able to do this by sitting on a number of committees including the board of governors, this means that the student voice is heard all the way through the university and right the way to the top. I work closely with the Union staff team who are dedicated to the whole student body. I also have a great team of sabbatical officers who are in charge of Welfare, Societies Development, and Academic Experience. We are working hard to ensure that your experience at university is the best it can be, whether you are in a sports team, like to go out, stay in, or participate in a society.